The path to knowing yourself is a long, winding road full of obstacles. On our chosen road, we should never forget that we are souls inhabiting this planet. We can neither detach ourselves from the world we live in nor can we detach from our own souls. 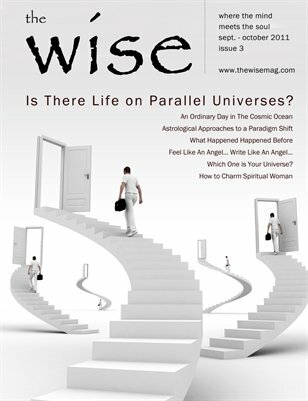 Hence, The Wise aims to combine spiritual teaching with the experience of daily life while employing both the mind and soul. Just as in life, we welcome all of you to this journey of The Wise with topics on spiritualism, esotericism, mysticism, and other consciousness-raising media and discussions. The Wise expects to embrace mankind all over the world through mutual issues and pay tribute to our journey which began seven years ago in the lands of Anatolia.